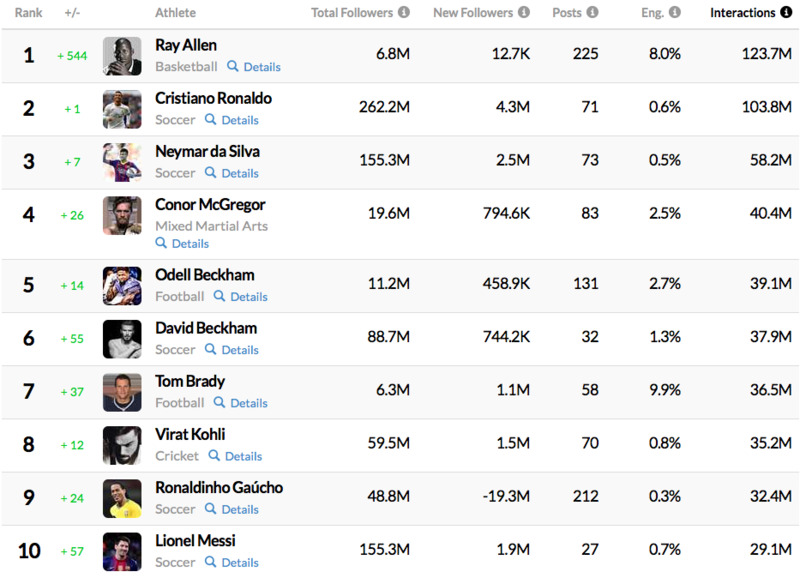 Last month former professional basketball player Ray Allen surpassed Portuguese footballer Cristiano Ronaldo in regards to total social media interactions throughout the month of February, beating him out by 19.9M interactions. Over the month of February fans produced 123.7M interactions across Allen’s social media accounts driving him up 544 spots to the number one spot. Allen’s recent success on social media comes from viral videos posts such as the one shown below which was viewed over 28M times. This is the first time any individual has passed Ronaldo in the monthly rankings since July of 2015.